Neck pain is generally defined as 'stiffness' and/or pain felt dorsally in the cervical region. The cause of neck pain is commonly due to compression or damage of a neurological structure, such as the spinal cord or a nerve root due to disc degeneration, trauma or tumours. Anterior Cervical Corpectomy and Fusion (ACCF) is performed to remove the large, arthritic osteophytes (bone spurs), damaged vertebral bodies or tumours compressing the spinal cord and spinal nerves. Treatment is accomplished by replacing the affected vertebral bodies and intervertebral discs to prevent motion at the effected segments while allowing for the remaining adjacent vertebrae to permanently fuse. This is achieved through a spacer with bone graft covered by a plate and screw construct. The Southern Anterior Cervical Corpectomy spacer comprises of a PEEK body with titanium-alloy imaging markers. 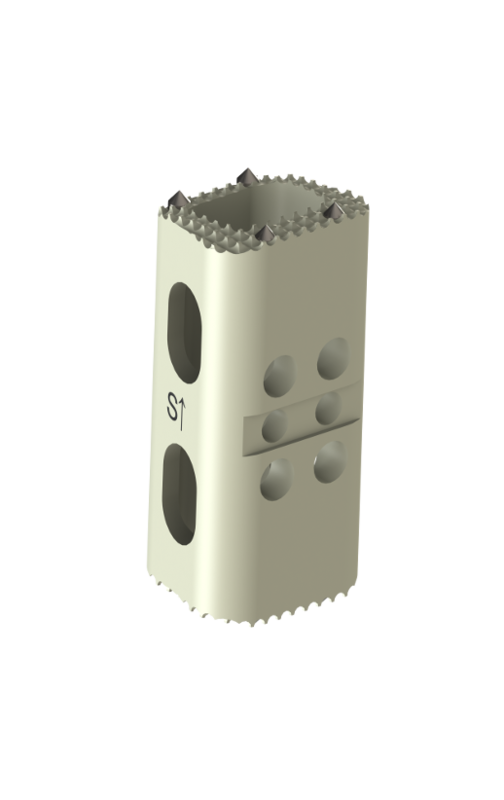 It is provided with a cavity for bone graft and is indicated for use with the Southern AXIS™ Cervical Plate system. 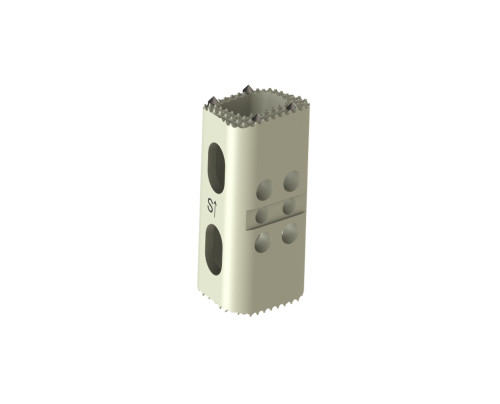 The Corpectomy spacer is anatomically-shaped to fit the cervical disc space optimally with multiple heights and an optimised footprint. 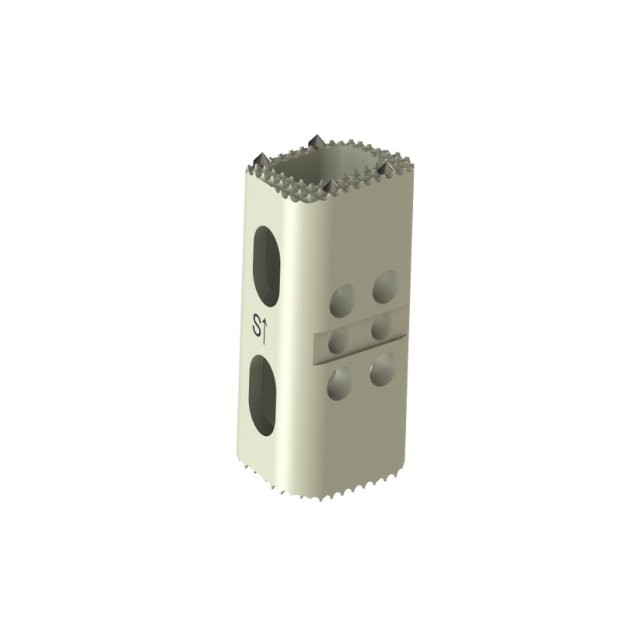 Serrations and extended titanium markers prevent the device from being displaced between the vertebrae. Large windows accommodate bone graft to improve osseointegration with the vertebral endplates.